This is a photograph of Henry Rein and Katharina (Katie) Rein. 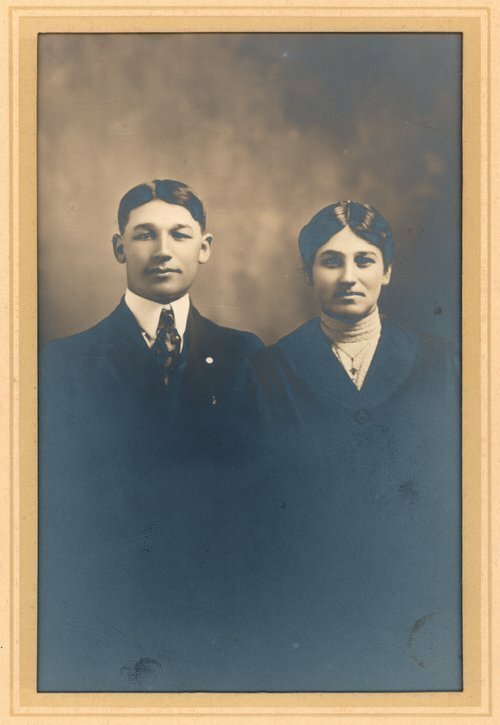 They are the children of George Rein Sr. and Eva Elizabeth Lass Rein. Henry Rein was born October 20, 1888, and Katharina (Katie) Rein was born December 31, 1891. They were born in Friedenfeldt, Russia.